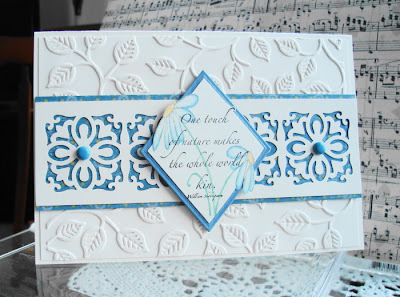 Vada's Blog Stamp Inks and Paper : Something New From My Stash. enjoy seeing what I’ve done with a few of them. All these punches are from the Martha Stewart line of “All Over The Page”. For this card I used the “Country Tile” punch. My stamps are from Endless Creations and Prickley Pear. The large embossing folder is from Sizzix. A 2 by 3 panel for the background. and stamps from JustRite and Gina K.
Both cards were colored with Copic Markers. Thanks for your visit today, enjoy the cards. WoW! Gorgeous cards Vada! Love those MS punches! So delicate! Awesome! 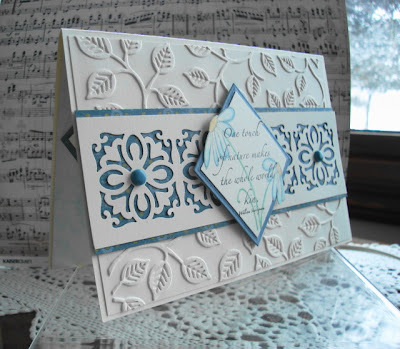 Both cards very pretty, love those punches, by the way love your new blog look. These are so pretty! 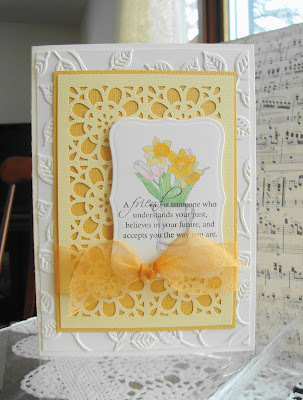 I love the white embossing folder on the top card and how you've used that punch all over. 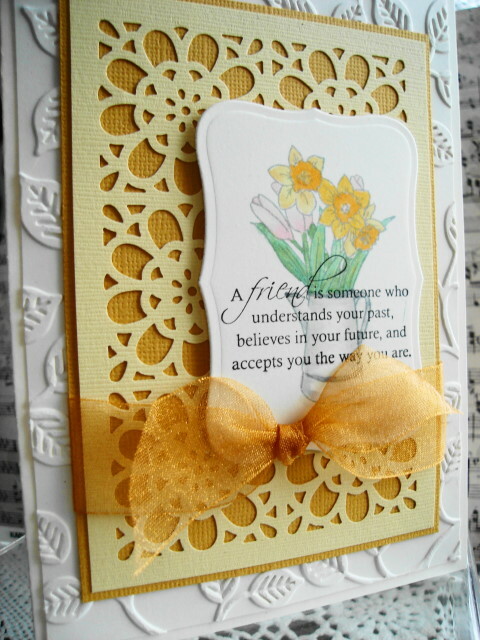 Also notice the bits of the flower popped out on the square - what a neat touch! WOW! Those are quite lovely Ms. V! So cool Vada, I just won one of those punches, haven't had a chance to try it out yet. Is the leafs a punch too?